Powers/Abilities: Deathraven could transform into a hybrid humanoid-lupine form with superhuman strength (enhanced human), speed, agility, etc. He had razor-sharp fangs and claws, and likely had enhanced olfactory (smelling) senses, and increased night-vision. He could communicate with and control other wolves. (Amazing Adventures II#18 (fb)) - <2006> - Maureen Raven was slain by Exterminator Saunders and Dr. Raker, two human agents of the Martian Masters. John Raven was taken tot he Masters for training in the gladiatorial arena, but Joshua's fate was left to the discretion of Saunders. Joshua was believed by Jonathon to have been killed. (Amazing Adventures II#30 (fb) - BTS) - <April, 2019> - The High Overlord's records reveal that Joshua was trained as an understudy of Exterminator Saunders in the Yellowstone Mercenary Sector, where he became an exterminator himself, under the codename Deathraven. (Amazing Adventures II#36) <December, 2019> - Deathraven, now the head of the Mercenary Elite at Yellowstone, met with the High Overlord, who informed him of news on his brother, who was trying to locate him after learning of his existence from the records. (Marvel Graphic Novel: Killraven) - <February, 2020> - As Killraven and his Freemen traveled through Cape Canaveral, they encountered Joshua Raven, who pretended to be under attack by a wolf. After Killraven "saved" him from the wolf, Joshua revealed himself to be his brother. He told Killraven a false story of escaping the Martian Masters before they could initiate their program to turn him into a weapon. Joshua immediately got off on the wrong foot with Old Skull, "What is he, retarded?" Joshua followed Killraven he led the others to infiltrate a base of the Martian Masters. However, once inside, Joshua showed his true colors. 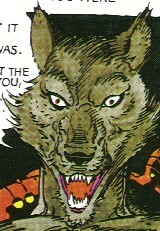 Knocking out the newest Freeman, Jenette Miller, he then assumed his wolf-form and confronted his brother as Deathraven. The High Overlord and a few other Martian Masters observed the fight, while Deathraven summoned wolves to bring down M'Shulla while he himself attacked Killraven. Telling Old Skull to stay out of the family fight, Killraven was nonetheless unable to force himself to fight his brother (or if he was trying, he was pretty ineffective). Deathraven battered his brother relentlessly, until Old Skull could stand it no longer and he assaulted Deathraven, who easily overpowered him and began to choke him to death. Realizing he could not physically stop Deathraven himself, Killraven instead unleashed his psychic powers, taking control of one of the Martian Masters and forcing it to attack, rend, and devour Deathraven. Looking in the Martian Master's eyes, Deathraven realized that it was his brother killing him. Comments: First shown as a youth by Gerry Conway and Neal Adams. Deathraven created by Don McGregor and P. Craig Russell. As Earth-Killraven exists outside of the sliding "Modern era" timescale of Earth-616, I would consider all dates mentioned to be correct. In their first appearance, John (Killraven) was a pre-adolescent youth, six years of age, and Joshua was an infant at that time. The Masters only wanted the older brother, John, for gladiatorial training and left the infant with Saunders. 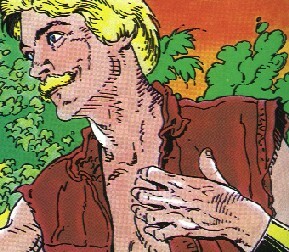 In Marvel Graphic Novel: Killraven, however, Joshua discusses being the older of the two. It makes more sense for Joshua to be older, as if he were only an infant in 2006, he would be only 14-15 years old when he fought Killraven in 2020. That being said, the Martian Masters could have artificially aged him. "Old Skull's gonna die...He surely is!" Earth-Killraven, as featured in Amazing Adventured II#18-39, Marvel Graphic Novel: Killraven, the Killraven one-shot, etc. ,is NOT the same continuity as the Earth-Killraven featured in Alan Davis' six issue series (2002). The two are not compatible. I'd link Davis' closer to the Ultimate universe, perhaps. I am not yet certain whether the world seen in Avengers Forever is the same or not, but it doesn't seem quite right to have all of the heroes present all of a sudden with no mention of their existence for several decades. 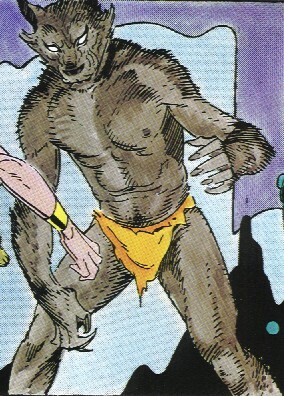 Earth-Killraven, the classic/original version, IS supposed to be the common past of the Guardians of the Galaxy timeline. It is also to be differentiated from Earth 2020, @ Machine Man II#1, which is also the world of the creation of the Minion (Death's Head) cyborg series, among others.